Gemma Ebworthy is eighteen, pregnant, and alone. Now that she’s been evicted, she finds herself sleeping in a barn, never dreaming that tomorrow could bring kindness of a life-changing magnitude. The Martins aren’t a typical family—even for rural Kansas. With more kids than can be counted on one hand and a full-time farm, Gemma must make a lot of adjustments to fit in. But despite their many differences, Gemma finds herself drawn to this family and their radical Christian faith. When Gemma’s past collides with her yet again, she must begin revealing her colorful history. With every detail Gemma concedes, she fears she will lose the Martins’ trust and the stable environment she desires for herself and her unborn child. Just how far can the Martins’ love and God’s forgiveness go? Okay, let me sort my thoughts (again). 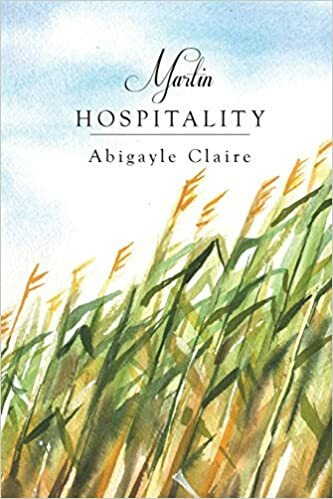 So Martin Hospitality is a book about a girl who’s pregnant out of wedlock*. It also talks a bit about abortion. First of all, this can be a touchy subject. At least, it’s definitely a difficult subject to write a book on without offending people. However, Abigayle did an excellent job on this. I love how she touches upon it humbly and gently. She states her beliefs clearly (not in your face clearly, but if you think about it you won’t be confused or anything) but not in a pushy way. I think that’s always an excellent way to approach a difficult subject. *sorry. I know we kind of jumped into the deep end immediately. It’s so cool that there’s a baby in this book for, well, more than a third of the book! I know there are lots of books with babies in them, but normally it’s at the end (like an epilogue) and I don’t really get to see much of them? So that kind of turned into what I liked and didn’t like (there was really nothing I disliked though) list. Like I mentioned earlier, Gemma is a pregnant but not married, and there are also light mentions of abortion. However, none of this is condoned. It’s not dealt with in a heavy way, which is why I think it’d be fine for a mature 11 year old girl to read. There is some romance between quite a couple of characters, but it’s all extremely clean. I really loved this book! *squeals for an eternity* I definitely enjoyed the story line and all the twists, and if there’s a sequel, you bet that’s going right into my TBR list. 4.75 stars. Recommended to mature 11 year olds+ for light mentions of abortion and pregnancy out of wedlock. The Darkness is Rising… and Sam Forrester is caught in the middle. Abandoned by his foster parents at age fifteen, Sam is sent to a remote town to live with a grandfather he barely knows. He meets some unlikely people with an unusual secret … they are the descendants of immortal beings. Sam’s new friends lead him to their home, the land of Lior, where the Descendants of the Light have been battling the forces of Darkness for thousands of years. Sam and his friends soon discover there is a plot brewing in the darkest reaches of Lior that will not only change Sam’s own destiny, but also threaten the future of both worlds. 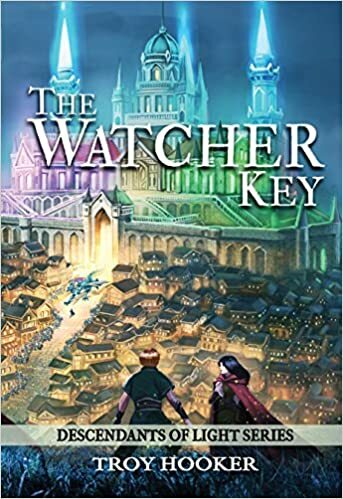 Follow Sam as he uncovers the mystery of the Watcher Key. Great expressive writing. Troy writes extremely well- I was never confused while reading the book. Clear imagery. You can definitely picture the scenes in your mind while reading easily and without much effort. Troy builds the worlds of White Pine and Lior excellently and integrates them really well. and I also want to see more of Chivler. I love librarians and book store keepers. Some of the characters (Emma and Sayvon specifically) seemed a little shallow to me. They almost seemed like they were there just to serve as a distraction to Sam romantically. They’ll probably become more fleshed out in the second book though. There’s kind of a love triangle. It isn’t the main focus at all, but I still wasn’t a fan of it (even though I normally kind of like them in books?). (I mentioned this earlier. It was highlighted as a spoiler, but if you’re on the cautious side about content and don’t really care about really really minor spoilers- at least I think it’s a very minor one, then read this. ;P) A kiss happens before two characters fall in love. Brilliant book! I definitely enjoyed reading it and learning about Lior. Troy has a fantastic writing style that’ll definitely keep me looking out for Book #2. 4.5 stars. Recommended to 12+ for minor romance and PG-rated descriptions. Next ›The Dressmaker’s Secret | Review + exciting announcement! I’ve heard SUCH GOOD THINGS about Martin Hospitality, but I’m broke and my library doesn’t have it . . . but I WILL read it! Eventually! And I’ve never heard of Watcher Key before, but it sounds right up my alley! And – a kiss before the characters actually fall in love? Interesting . . .
Great reviews, Lilian! And can’t wait to hear about that project! I KNOW IT’S SO GOOD. I rarely, if ever, cry in books, so I didn’t in this one (normally if I cry it ends up making me not really liking it… simply because it made me cry. *cough* I know, strange). RIGHT, THIS BOOK IS SO UNDERRATED! Oh I love this review! The way you laid it out was perfect! Martin Hospitality sounds so cool, maybe someday I will see it and get it. It’s awesome! I’d highly recommend it. Is it available from Barnes and Noble, if it is I might spend a gift card on it. You don’t have to answer I could totally look it up. It is available on B&N, actually! Definitely, you should go check it out!